I really like how shaikh abdullah al matrood recite quran in mp3. He makes my day happy when i listen quran. May you live a long life to read quran and lead namaz Insha Allah may Allah subahn wa talah give you in Janna. what a sweet,emotional and soothing unique voice that Allah granted Historical servant may He also make you recite as you ascend up to jannah. May Allah bless Abdul matrood, he used to makes me cry when am listening his recitation. Allahmdulillah when I listen the recitor of the Holy Quran from Abdullahi Almatrood,this make me to cry. Infact I Love you Sheikh for Allah, this remember with one of the prophet PBUH Hadith. Said whose ever love one's for Allah sake, and talk a person I Love you for Allah sake, Allah will love him too. 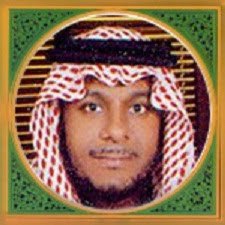 Abdullah Al Matroud is my best Qur'an reciter. we don't find Surat Luqman and Saba. It Is My Prayer That I Become Like Sheikh Matrood.I Really Like How Powerful His Voice Is..